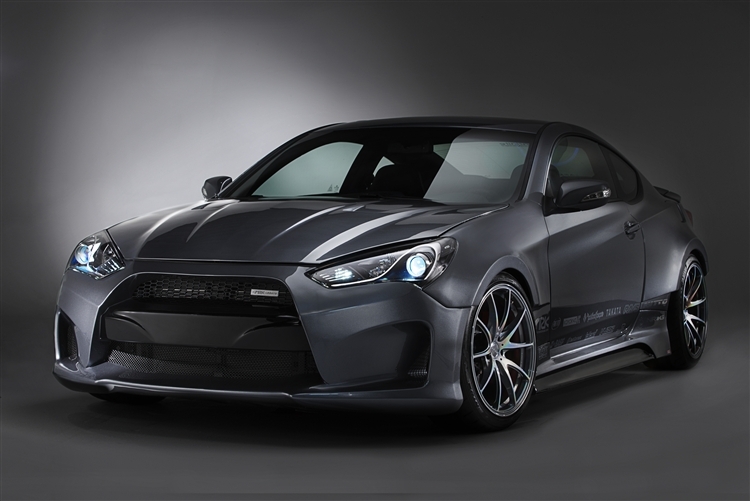 Featured at the Hyundai booth at SEMA 2013, This Hood enhance the appearance of the Genesis Coupe, creating a more exotic, "Grand Touring" feel. Hood only. Fits Legato Widebody Kit and Standard Genesis Coupe models. The ARK Legato Hood features two functional heat extraction vents that also help to aid cooling by letting hot underhood air escape to the atmosphere. Comes unpainted, ready to prep, prime and paint to match to desired color. Featured at the Hyundai booth at SEMA 2013, This Hood enhance the appearance of the Genesis Coupe, creating a more exotic, "Grand Touring" feel. Hood only. 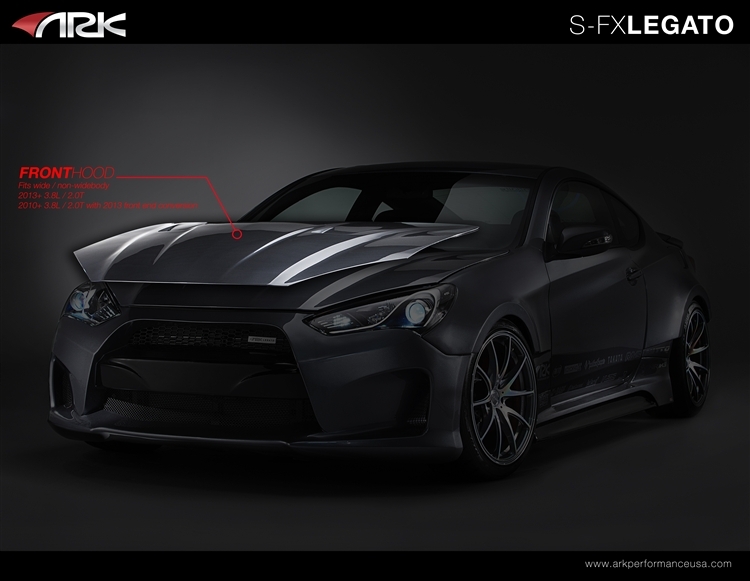 Fits Legato Widebody Kit and Standard Genesis Coupe models. The ARK Legato Hood features two functional heat extraction vents that also help to aid cooling by letting hot underhood air escape to the atmosphere. Comes unpainted. Produced in the highest quality fiberglass construction by ARK Performance, This high quality Hood creates an aggressive and exotic look. As an ARK product developed in conjunction with Hyundai, this Hood offers a great fitment. Questions about This Genesis Coupe Legato Hood from ARK Performance? Our Modification Experts are standing by and available to help you, online or by calling 714-582-3330. ModBargains also offers expert installation and can install this upgrade for you. Call today!